Where to Get a Divorce…When you Cannot Get a Divorce in Mississippi. It could be IMPOSSIBLE to get a divorce in Mississippi! Mississippi is one of two States that requires either an Agreement to all issues to get a divorce or absent that complete agreement, requires corroborated proof of fault grounds against your spouse. Additionally, you can leave the state. While not always a great option it can work and in a few circumstances, Mississippi law would “require” it if you had to have a divorce. 48 other states essentially provide if you want a divorce you can get a divorce, but they also have certain jurisdictional/residency requirements to be able to seek relief from those Courts. Mississippi requires you be a resident for 6 months, with the intent to remain and you may not move here for the purpose of seeking a divorce, not that any sane person would. Wyoming: None if the marriage occurred in the state and the filing spouse has lived in Wyoming since the marriage date. Otherwise, 60 days. Alabama: No in-state minimum if both spouses live in state. 180 days if only one spouse lives in state. I have included other states for informational purposes only. I am only licensed in Mississippi and cannot give advice regarding other state laws. The link provided was found on the internet! Caveat emptor! 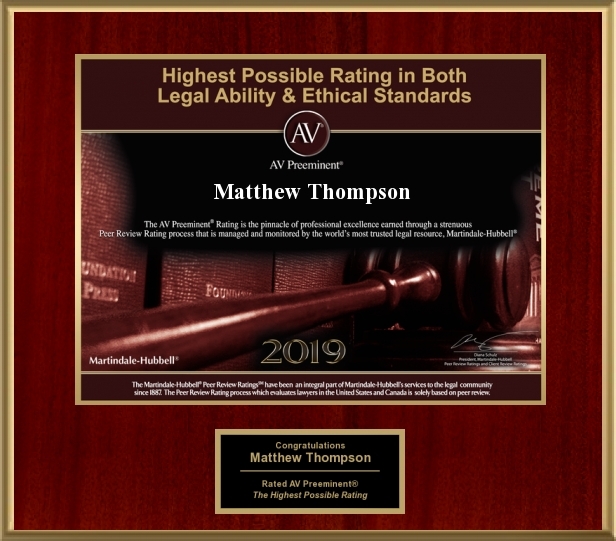 Matthew Thompson is a family law attorney in Mississippi and supports a “walking around sense” change to Mississippi law.